Doriana Callahan's life is unraveling. Someone is stalking her; her teenage son is rebelling; and Logan Tanner is back in town. For sixteen years she's kept an explosive secret from Logan . He never belonged in Doriana's world, but he’d allowed himself to dream of a future with her, until the awful night he was forced to run. 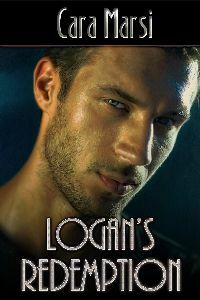 Despite the secret Doriana kept, Logan vows to protect her. He races against time to stop the culprit threatening her. Can the love and passion that still burn between Doriana and Logan overcome old lies and new dangers? Thank you for featuring Logan's Redemption today. I want everyone to know that to celebrate the release of Franco's Fortune (Redemption Book 2),Logan's Redemption is on sale for a limited time for 99 cents at Amazon, BN, Apple and Smashwords. You're welcome. Here's to lots of sales.